I love Tansy’s short fiction and this story is no exception, it has just been so much fun! 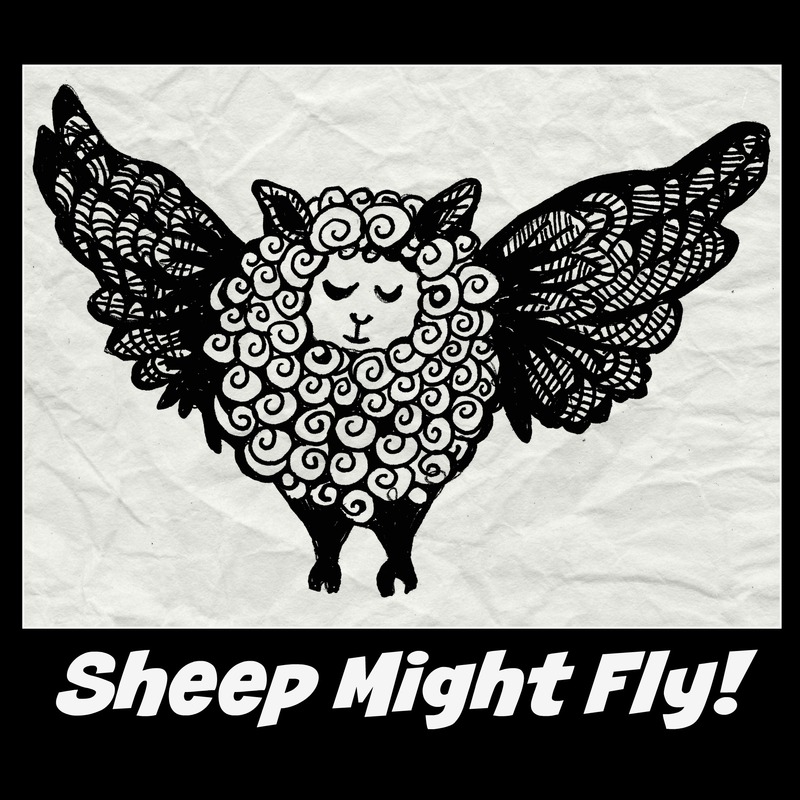 Glass Slipper Scandal is part of Tansy’s Sheep Might Fly! podcast (which is wonderful – go subscribe. It is always first on my list of things to listen to when it is out), so it is a serial story, which I do not mind at all. The short bits are so much easier to fit into my life than full hour story podcasts, that I just rarely have the time/headspace for. I helped kickstart this magazine so of course I had to review the first issue of it, that’s how it works right? Let me start by squeeing about the cover. Please press it so you can see it in full size. 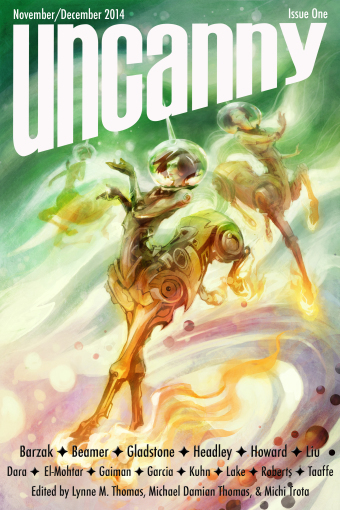 The artist is Galen Dara, now there is someone to nominate for the Hugos next year! Seriously space unicorns now makes sense! I adore urban fantasy. Cities are so interesting places they drive innovation, they are diverse in a way small towns can never be, they hold the unknown as an integral part of their makeup, they have options of entertainment and nightlife that smaller rural areas just can’t have. They also contain so many contrasts and contradictions. The poor and the super rich exist in the same space, walk the same streets. Cities can hold secrets and hidden places that in the rural areas are only secrets to outsiders. But I do not only like the urban setting in fantasy set in our world – in modern times – I also really like cities as a setting in straight up fantasy. 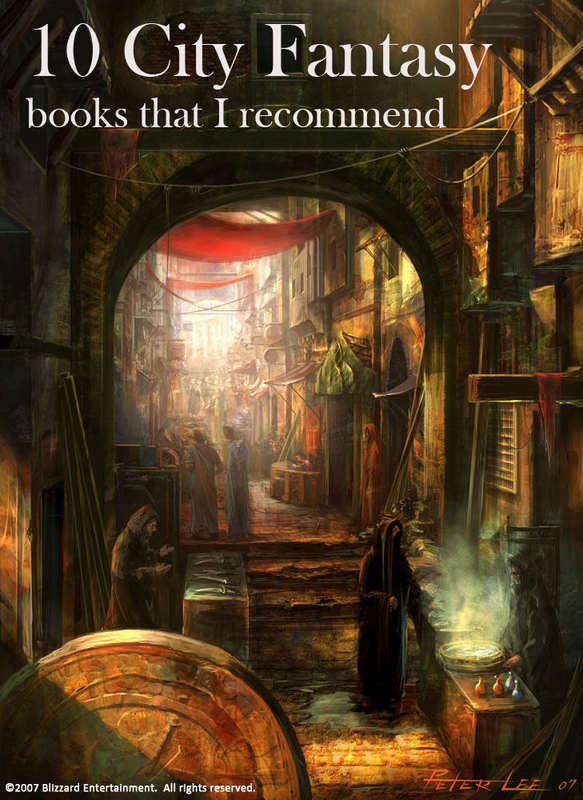 This is a list of the fantasy stories that I can recommend that is not urban fantasy as such, but is fantasy set in cities, where the city is quite important for the story. These are not books were the protagonist travel all over the place on a long quest. These stories primarily take place within the confound of a single city. 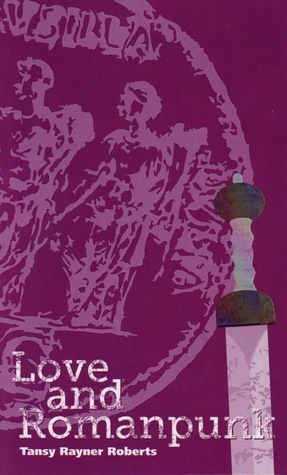 This book has 4 short-ish stories in it all inspired by ancient Rome. They are speculative fiction, not historical fiction. 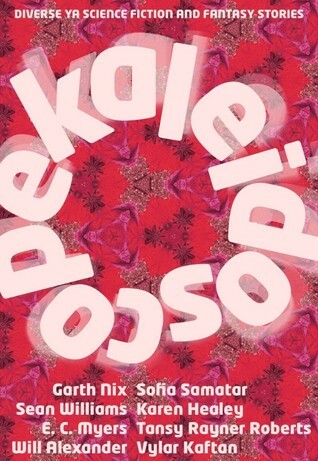 I helped kickstart the anthology Kaleidoscope last fall and it just got published the other day. I had tons of other short story collections and anthologies to read from, but I had really looked forward to this one, so I started reading almost right away. I now have a work commute again that is perfect for reading short stories, so that is going to be awesome for my project of reading tons of short stories this year. Shortly after I came home from work today the doorbell rang and a postman delivered not just one amazon packaged but two. For some crazy reason one was shipped from Italy while the other was from Germany. The ways of amazon is miseries. 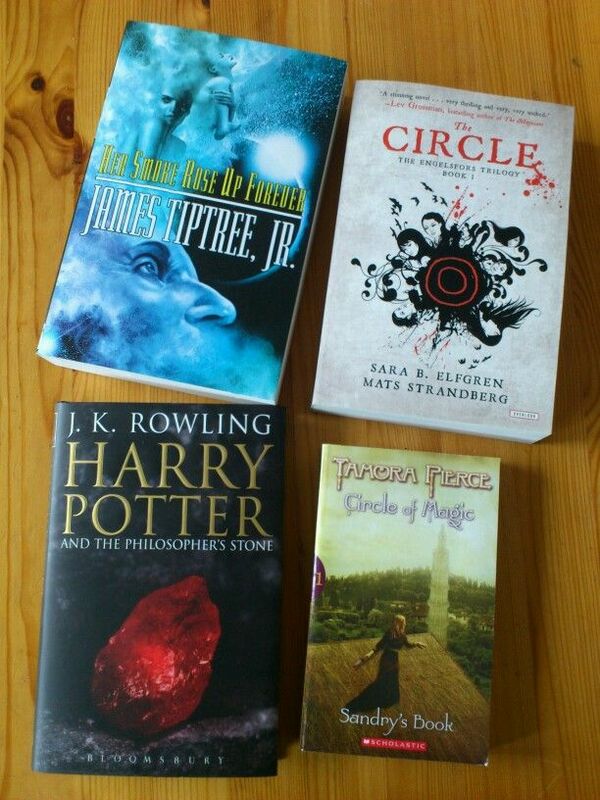 Inside was four books out of the five I had ordered, the last one is on its way. But anyway, yeah books! I was actually just ordering one book a few weeks ago, but it was so cheap it seemed silly not to order some more and there were some books I wanted.